This post is part of the Travellin’ Pic Stitch Blog Hop. From 1st October – 30th November we are hopping all over the world EPP-ing in some fantastic locations. Check out the full list here and be sure to check out the other participants. On 30th November it’s over to you to link up for a chance to win these fabulous prizes! 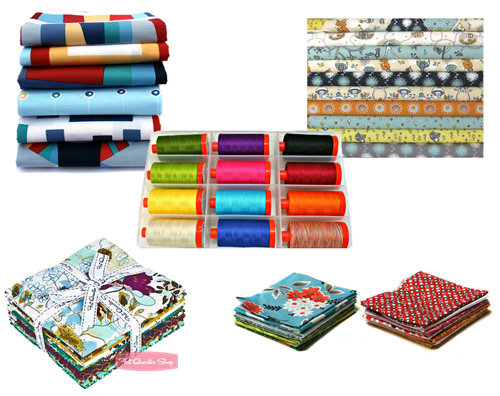 Sponsored by Paperpieces.com, FabricwormPink Castle Fabrics , Marmalade Fabrics, the Fat Quarter Shop, and Aurifil. The Flickr group is found here where you can upload your photos, palettes and EPP projects. English Paper Piecing (EPP) is one of my favourite quilting techniques. Easy, precise and portable. I was delighted when Laura and Katie asked me to join in the fun and make an project using EPP and colours derived from a favourite holiday snap. Last school holidays we went on a family trip to Tasmania. Tasmania is an island, off the bottom of Australia. Best known for its majestic wilderness, wildlife and fresh produce. 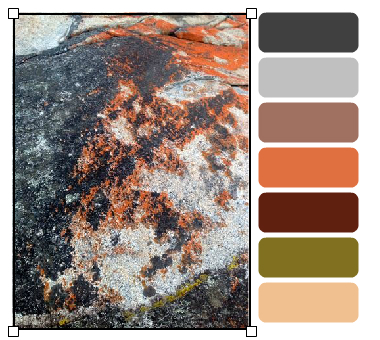 The palette selector came up with this combination but I decided to add in some ocean blue, kelp green and some salmon(s). Why salmon because Amy sent me some and I just loved it. I dived into my collection of Laura Gunn Painters Canvas, spotlight text prints, Madrona Road and Woodlands and voila, this is my little pillow/cushion. Does anyone remember fish and chips wrapped in newspaper with salt and vinegar on the side? The design is my original template for rosettes between hexie flowers. I just enlarged it to make a 26″ finished pillow/cushion. Looks a bit like a propeller with fish. Can you see the ice-cream cones or the microphone as well? This is the back using Menagerie cows in lime. I left one side of the pillow with the cows upside down as my 6 yo thought it was hilarious that the cow had a head on both ends. A bit of fancy fish quilting. I use many types of medium for my ‘papers’ – freezer paper, light cardboard, Floriani Stitch n Wash – but for this project I used printer paper and basting. For the centre hexagon, I made an irregular 9-patch with borders and cut the hexagon shape from my block, making sure it was centred. The outer hexagons were cut from 2 strips of fabric sewn together. Once again, I aligned the centre of the hexagon along the seam and cut out. Today, I am offering one lucky blogger the chance to win a ‘Rose Star Template’ 2″ set. All you have to do is make up a name for the pushion (cushion/pillow). Entertain me with your hilarious suggestions. The catch is (excuse the pun), it has to include the word fish or type of fish. I will draw a winner 30th November 2012 midnight AEST. How about 'Salmon chanted evening'!! You need to say it out loud – preferably when you're alone!! Love the ice cream cones…. Reminds me of a trip to the beach…so I'd call it "Sea Side Perch". Ie you could 'perch' your bum on it while you eat your fish and chips! Love it!! And of course now I'm wanting some fish and chips with salt and vinegar and tomato sauce… How's about "Fishin' Around"? I'm so happy to see the fish loved and used! I think they might be rainbow trout. I'm going with "Fin one ear, and trout the other!" I adore newspaper print fabric. Such a clever use for it in your 'Fish and Chips' pushion (I think it already has a great name!). I laughed when I read about the cow with the head at both ends – such a 6 year old thing! Mind you, all my children would think that hilarious! My feeble attempt at naming your pushion – inspired by the lovely newspaper print – 'Red (as in, I 'read' the newspaper yesterday) Emperor. I know, I know, lame!! It's definitely a "Fish in a spin" pushion! How about: "Somewhere Over the Rainbow Trout" I don't know what kind of fish are on there but it looks like rainbow trout to me. How about "Salmon Spinner". Thanks for your description of how you put this together – very creative. The desiqn is great! I love the quilting! But those fish are the best! 'Fin a spin' is the best I can come up with! I haven't tried EPP, but I love handwork so I would like to try it. How about "Fish out of Water" for a name. "Fishin' for compliments" was the first thing that popped into my head. Yes, the spelling is deliberate. Complement as in two things which go together! That works so well!!!! I do like the Synchrnoised Salmon name from Tracey! 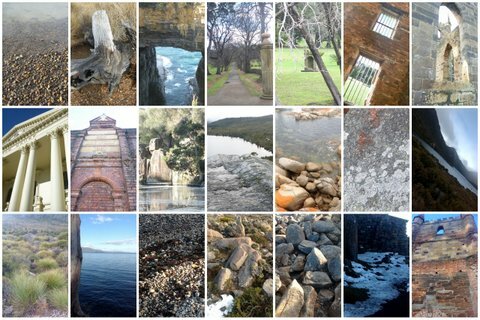 Thanks for playing – gorgeous pictures! This is so pretty and creative! I voted you! Good luck! Beautiful pictures and lovely work. You get my vote!